The garage at the former Spectator building downtown in 1959. 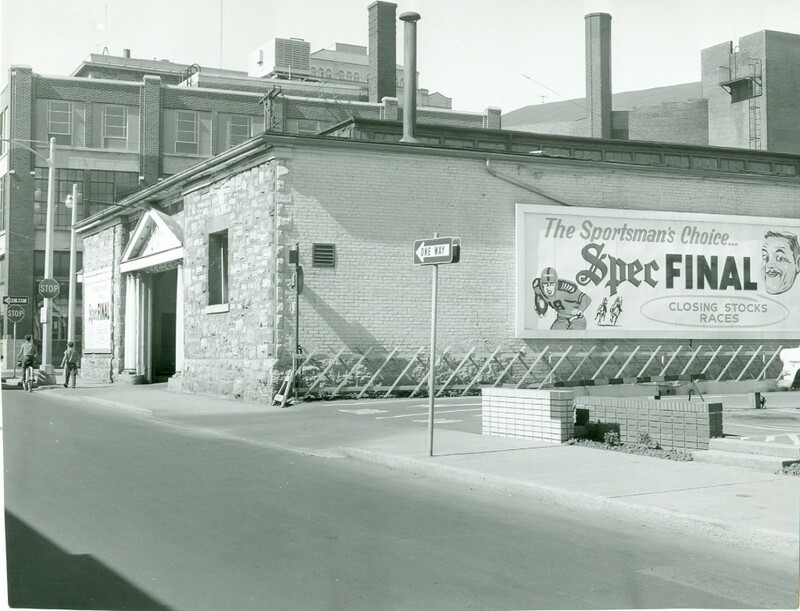 The garage at the former Spectator building downtown at the corner of Catharine and King William streets in the summer of 1959 (above) trumpeted the newspaper as the “Sportsman’s Choice”. How it looks today in 2015 (below). 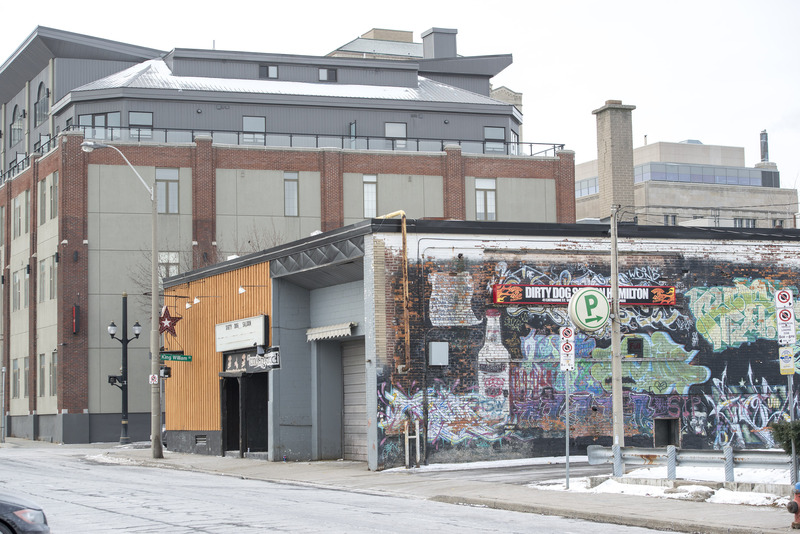 Former Spectator garage as it appears in 2015.  Archived in Then and Now. Bookmark the permalink. On Saturdays in the mid-60s, I’d sit with my dad in our car in the parking lot while my mom shopped. The ads on the side of the building…of which you can only see one in the photo…ran from one end of the garage to the other. I’ll never forget that. Thanks for bringing back some memories.